Are you running a Youtube Channel? If yes, then you must read this article. Hereby, we have shared the best tips to promote your youtube channel for free and get more views. Next, we have also discussed the best way to monetize your youtube videos. Trust me, these tips will definitely increase your earnings by increasing youtube views and subscribers on your channel. But, before starting with the article, let us first understand how this Youtube Monetization works? What all are the factors that are related to enabling monetization on youtube? So, are we ready? Shall we start discussing it? Let us start with youtube monetization requirements first. 2.1 How To Rank Youtube Videos Higher in Search Results? Before 2017, anyone can start making money from youtube videos provided he or she has approved Google Adsense account and linked to the youtube channel. 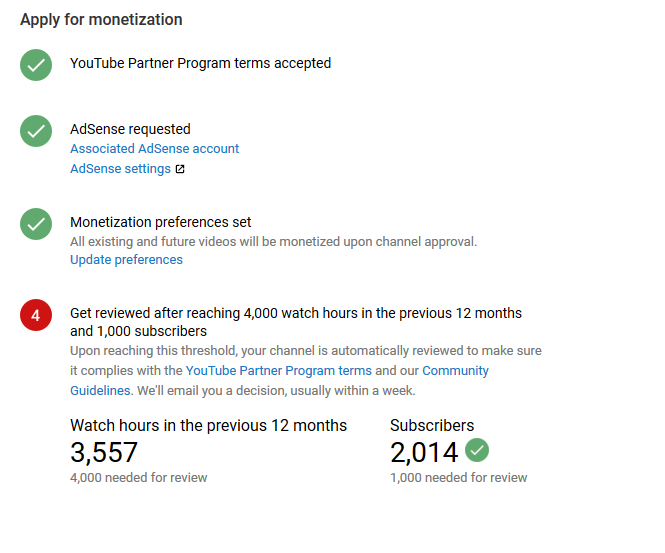 But, in 2018, Google has updated its youtube monetization policy and now according to new monetization policy of youtube, if you want to earn money from sharing youtube videos, then you must have minimum 4000 watch hours and 1000 subscribers. Next, link your Google Adsense account with a youtube channel and thereby wait for getting approval confirmation for youtube. Once you get the approval, you can start monetizing your youtube videos by enabling ‘Monetization’ option in youtube channel. The below video tutorial will help you to enable monetization on youtube. Youtube is not simply a video sharing website but a search engine also. 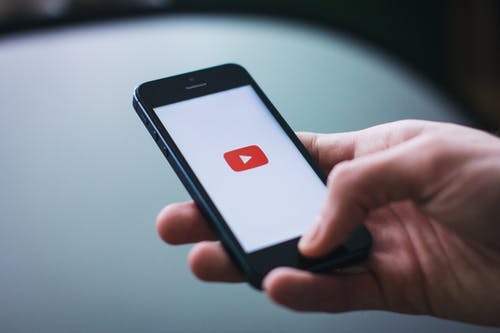 With the growing demand for video-based content, after Google, youtube has become the second largest search engine available online. But, Youtube not only provides video contents but also offers you to monetize your videos by showing ads on it. Yes, you had heard it correctly. On youtube, you can upload the videos and make money from it. You will get paid for showing ads on your uploaded videos. But, this will work only if you are getting enough views on your videos. Trust me, if you get enough views on your videos then you will definitely make good money from your youtube channel. There are many youtubers who are making money millions of dollars from their youtube channel. For example, Logan Paul. 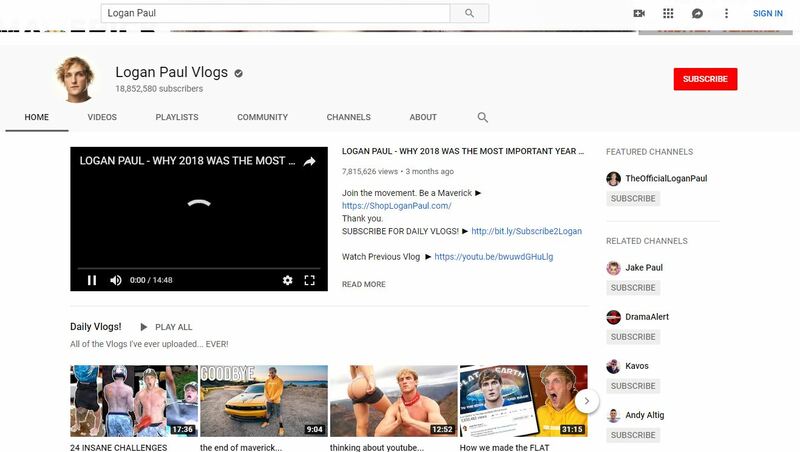 Last year, in the year 2017, he had made around $14 millions from its youtube channel. But, do you know? How many subscriber and views does he has on its youtube channel? Around, 18 million subscribers and more than 50 millions video views per months. Hence, you can make millions of money from your youtube videos provided you have a good number of views on your uploaded videos. Now, a question may arise? How to get more numbers of views on your uploaded videos? Before answering this question, let us first discuss, how to optimize your videos for ranking higher in the youtube search engine. If it’s rank higher then obviously it will get good numbers of views on it and thereby you will make more money from it. So, What are we waiting for? Shall we begin? How To Rank Youtube Videos Higher in Search Results? Wondering how to rank higher in the youtube search result? Check out these tricks to optimize your uploaded video and improve its visibility on youtube. Trust me, after implementing the below tips, you will definitely find an increase in watch hours and subscriber too. To rank higher in the search results, this is the first thing upon which you need to focus. Like blog posts, ensure you write a catchy and SEO optimize title for the videos. Your title should be such that it drives online users to click on it and at the same time it should tell youtube algorithm- What your video is all about? You can use the same techniques (the one you use for your blog) to write a good catchy and SEO optimized title for the video. 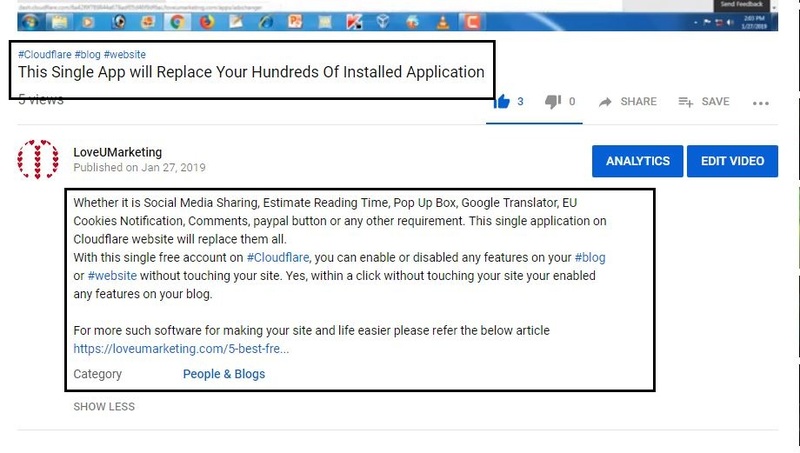 If in case you don’t own a blog then you can take the help of Google Instant Search and Google Suggestion to find the good headline for your upload video. This is another important thing to rank higher in search results. Write a well-researched description for the uploaded videos. If the searched keyword matches the video description, the video is more likely to get a higher ranking. Yes, it is similar to the Meta Description option available while writing a blog post. Like Google Search Engine, Youtube uses this meta description as a base to search the video. Next, we also suggest writing a long description. This is because a long description means lots of keywords used in it and thereby you have more chance to rank your videos for the particular keyword. Pro Tips: You can also use this description box to get high-quality backlinks for free. All you require to do is- paste your blog URL in this description box. That’s it. It will give you a backlink for your site or blog. Just below the description box, there is an option called ‘Tags’. Make proper use of this option if you want to rank higher in the search results. Yes, it is similar to the Meta Tags option available in WordPress blog. Use properly researched keywords in your tags. This will help you to boost the visibility of your uploaded videos. Make sure you use the specific tags first and then move on to general tags. This will help you to put weight on the specific tags while showing the search results. Above three tricks are enough to rank on the first page of the youtube search results. Next, at the same time, these tricks will also help you to optimize your youtube videos for Google or any other search results. If the above tips are properly implemented then there will be a higher chance that your video will appear on the first page of the Google search result. Now, you have optimized your youtube videos. Right? The next question may arise how to promote youtube videos and get more views? To find the answer to this question, please read below. There are many ways to promote your youtube channel and get more views on your uploaded videos. Some of them are dicussed below in this article. But, before starting with the list, please note that these list will work only if you have properly optimize your youtube videos. Make sure you have already implemented the above mentioned tips on your videos. The above mentioned tips are very important for optimizing the youtube videos. Next, follow below-mentioned ways to promote your youtube videos for free. This is the first and the best way to promote your youtube videos. When you upload a video, youtube will give you three auto generated thumbnails to select from. Next, you will also see an addttional option to add your own custom made thumbnails to your video. Use this addttional option to promote your video. Create a good eye catchy thumbnail for your uploaded video. Next, add the same to your video and you will find a difference in your traffic. Trust me, a eye catchy thumbnail will defintely drive good traffic on your video. Next, share your video on various social media sites and thereby drive good traffic to your videos. This is quite similar to blog posts sharing on social media sites. 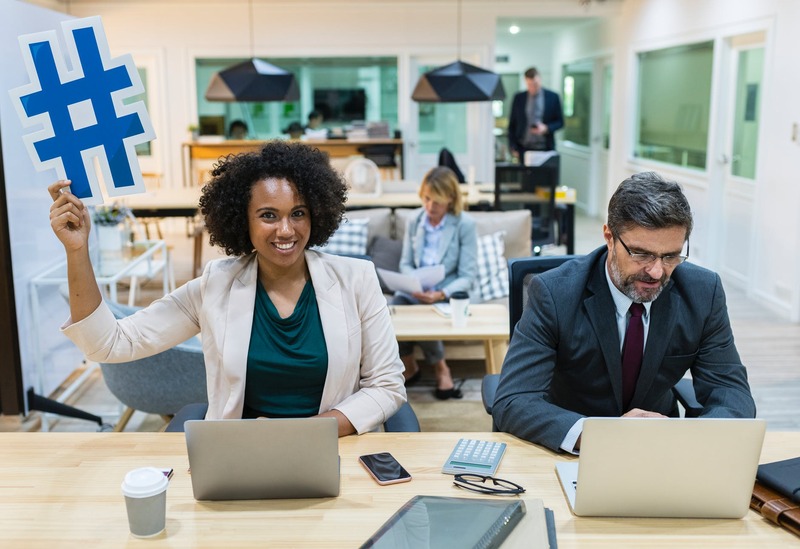 Like, by sharing blog posts you drive traffic to your site, similarly, you can drive traffic by sharing videos on variuous social media sites. If you own a website, then start embedding a youtube videos along with your blog posts. This will help you to promote your videos easily. Users will easily find your videos beause of the great content you have written in your blog post. Make sure your youtube dashboard is properly organized. A organized dashboard is easy to browse and find video. Next, at the same time, you will also get the enough space to show and promote featured video on your channel. Make sure you use proper hashtags in your video descriptions. To know more about hashtag, please refer this article. Youtube playlist is the best way to promote your videos and get more views. Basically, there are two reasons for using the youtube playlist. Your Youtube Playlist also appears in the search results. Since it is a playlist, the next video in the playlist will get load automatically. Hence, your videos will get more views for free. That’s it. You can use above mentioned ways to promote your youtube videos or channel and drive unbelievabl traffic to your videos. It is possible to earn money from youtube videos if you are getting enough traffic on your uploaded videos. To make money, make sure you optimized your uploaded video and promote it for free. Next, linked your Google Adsense account with youtube channel and enable monetization to make money from it. At last, if you face any problem in optimizing your youtube channel or promoting it then feel free to cotnact us. You can even share your message in below comment box. Next, if you think we have missed out any important way to optimize or promote youtube vides, then feel free to share with us. Please let us know What different ways you are using for your youtube videos? We will be happy to listen you.